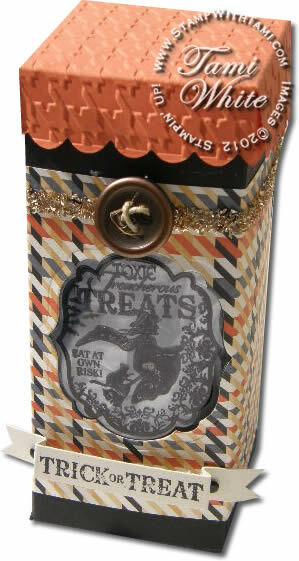 It’s time for some freaky fun “Toxic Treat” Halloween projects. Who doesn’t love giving Halloween candy and treats for the kids, little and big. 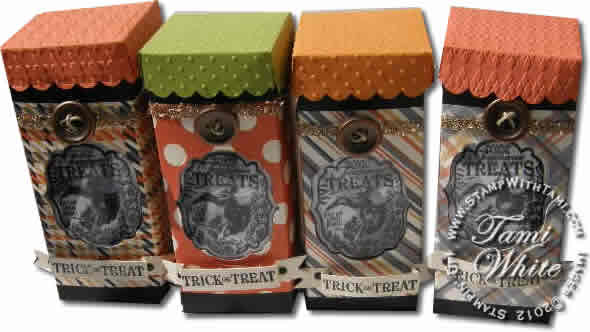 Today’s video tutorial is a super easy and fun “window” goody / candy box, using the Simply Scored tool from Stampin’ Up! and a super stinkin’ cute box top made from the Scallop Square big shot die of all things. This box is big enough to fit lots of candy, and other gifts. More fun video tips include glass glitter and pop up banners. Box credits to Melissa Griffin Zwolanek. OMG !! This is one of the cutest Halloween projects I’ve seen in a long time. I like that it’s a larger size… so you can really fit some nice treats in it! Thanks for sharing it! This is a great idea that can be utilized as a gift box from birthday to Christmas. Thank-you for sharing this video with all of us.